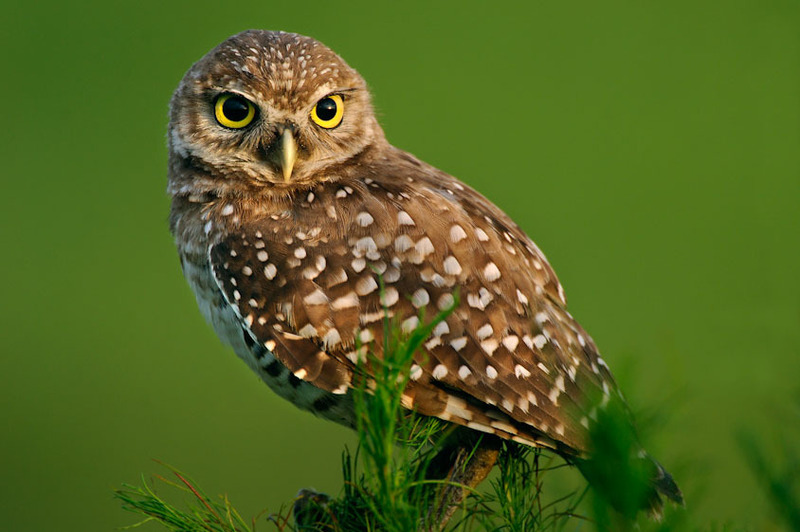 The Burrowing Owl is one of the smallest owls found in North America. They are also spread all across the South American continent. They are a ground-dwelling species and live in burrows made by prairie dogs, ground squirrels, armadillos, skunks, or tortoises. 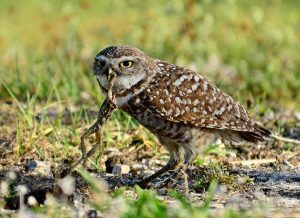 Unlike most other owl species, these owls are active both during the day and at night, mostly searching for their prey. 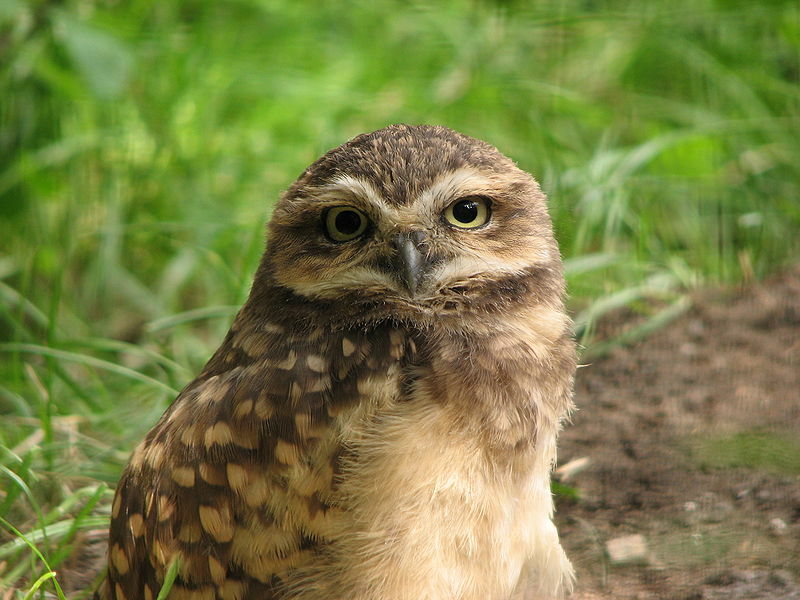 These owls usually feast upon insects during daytime and hunt down small mammals in the dark. 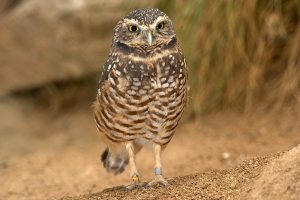 Size (Length): The size of the burrowing owl is 7.5 to 10 inches, and with wingspan it measures 21-24 inches. They are a little larger than the size of an American Robin. Height: These owls weigh 4.5 to 9 ounces. Feather/Coat and Tail: They are covered with brown feathers on the head and back with white spots all over. Chest and abdominal parts are white with occasional brown spots or barring, depending on the subspecies. Head: They have a round, flattened facial disc like most other owls. Eyes: Eyes are dark yellow with distinct eyebrows. Ears: Set next to the eyes but they lack ear tufts. Legs: Their legs are grayish and longer than any other species of owls. Bill/Beak: Their bill is sandy to yellowish in color. The burrowing owl lives for about nine years in the wild, and a year more as pet (in captivity). 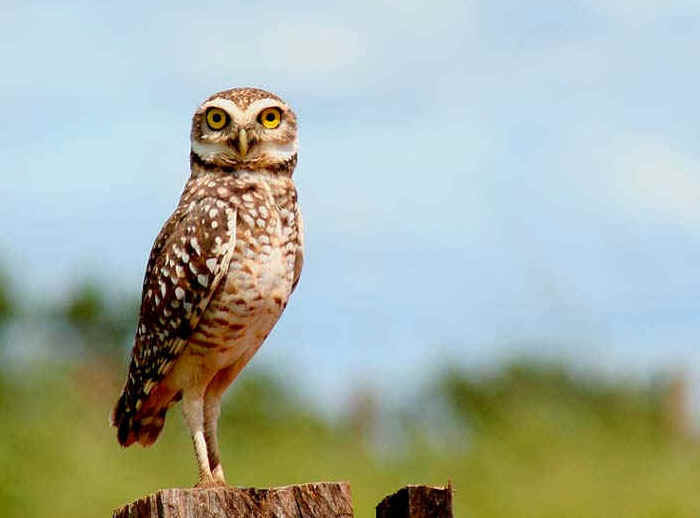 This new world species of owl is distributed all across SE Canada, west USA and into Florida throughout Central America, on some Caribbean islands, and in most of Central and Southern parts of South America. The burrowing owls are not a forest species. 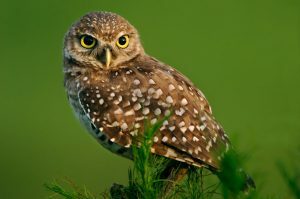 These birds are fond of wide and dry regions that include savannahs, prairies, grasslands and even deserts and farmlands. 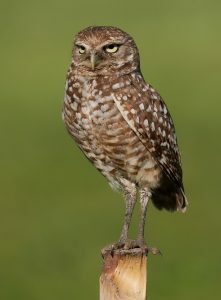 They are also found in city parks, golf courses, and similar places in the urban areas. 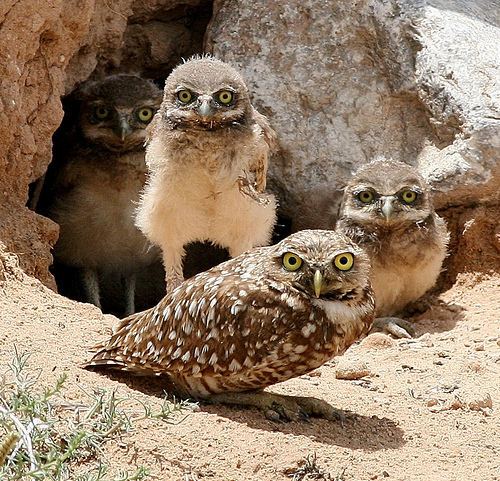 As mentioned above, these owls live in animal-made burrows, in loose colonies. Each of the adults would take their turn guarding the burrows entrance. They make a chattering or chuckling call and also bob their heads when they are excited or distressed. During mating season, they especially become active during both day and night. They prey on rodents in the dark by using their power of hearing and vision in the dark. They would prance upon the unsuspecting prey suddenly from the sky and capture them by startling, or would run after their prey in the open field chasing them down. They are also able to catch hold of their prey from mid-air. These birds collect the dung of cows and horses and put them in their nests. This attracts the beetles, which they then catch and feast upon. Among insects, they mainly eat grasshoppers, dung beetles, and many other large insects from mid-air. They are opportunistic hunters and would easily hunt down smaller mammals like mice, rats, gophers, ground squirrels, young cottontail rabbits, bats. Among the birds, they prey upon sparrows, horned larks, etc. Other foods include scorpions, amphibians, and small reptiles available around their dwelling regions. 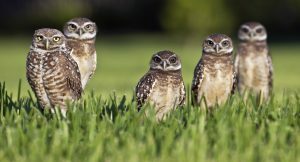 Summer is the breeding and reproduction time of the burrowing owls, with the nesting season beginning in late March or April. They are territorial and make their nests almost around 100 yards from each others. Usually a monogamous bird, the males occasionally have two mates. The female bird lays an egg every 1 or 2 days until its clutch size (of 4-12 eggs) completes. The incubation period of these owls is 28-30 days. 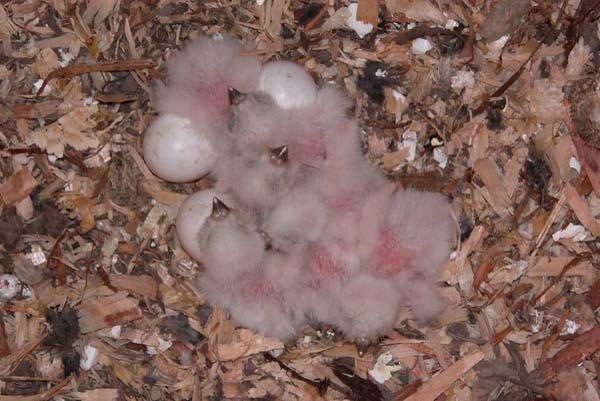 Although most of the eggs hatch, only 4-5 of the juvenile chicks survive before they are ready to fly. The baby owls are born helpless, with eyes closed, and are covered in gray-white down. The parents take care of the young ones. The baby hatchlings take around 40 days to grow up enough to leave the nest and fly. 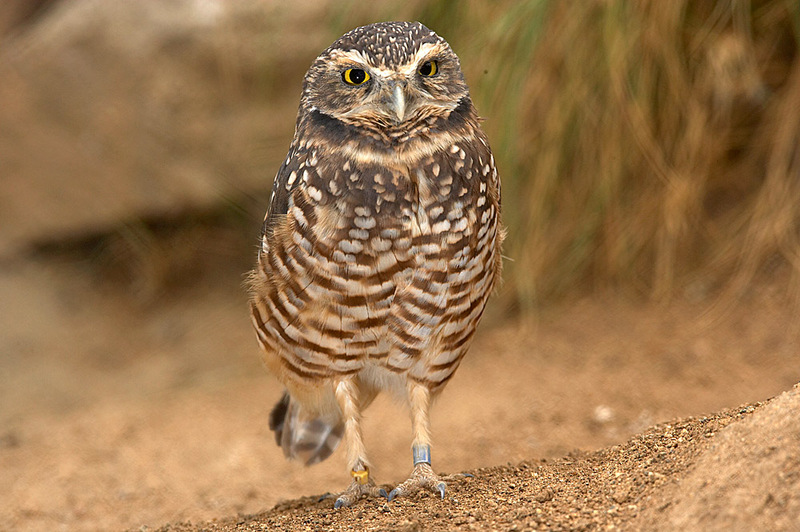 Since they live in open grasslands, the burrowing owl has developed long legs enabling them to sprint during hunting. 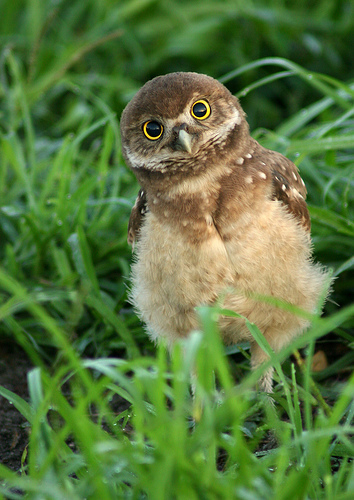 The owlets (baby owls) can scare away their predators by mimicking the sounds of a rattlesnake. These birds are able to make a wide range of calls. About 17 distinct vocalizations have yet been identified including “rasp”, “chuck”, “chatter” etc. Its main call is a soft ‘who who’, mainly emitted by the male. 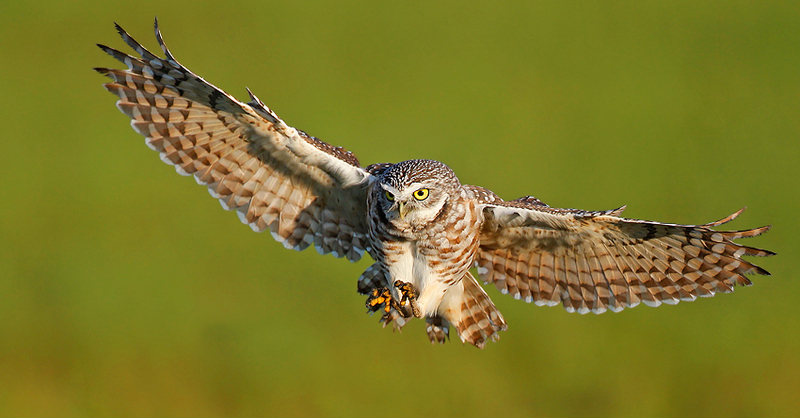 Although they are birds of prey themselves, they are not at the top of the prairie food chain. 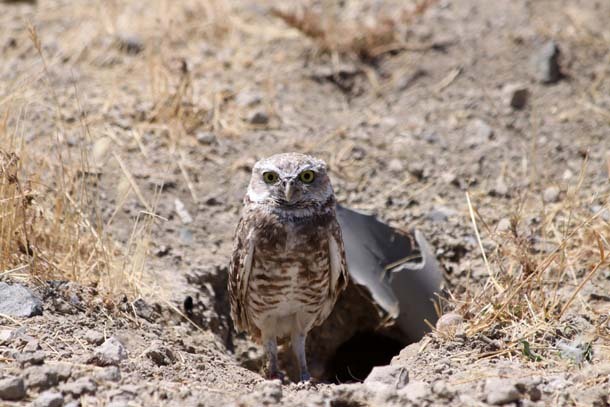 Larger owls, foxes, weasels, badgers, hawks and coyotes all naturally prey on the burrowing owls. 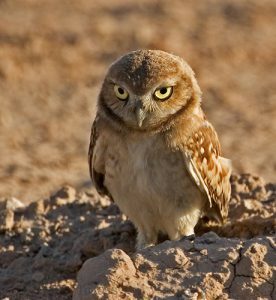 Burrowing owls are not endangered. The IUCN 3.1 has categorized the Burrowing Owl under the LC (‘Least Concerned’) species list. 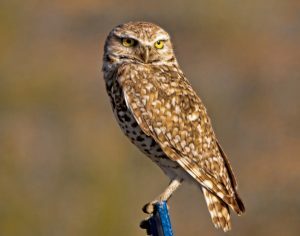 In the scientific name of the Burrowing Owl ‘Athene cunicularia’, the word Athene refers to the Greek goddess of wisdom and knowledge, whose favorite bird was an owl. The Latin term ‘cunicularia’, means a ‘miner’ or ‘burrower’. 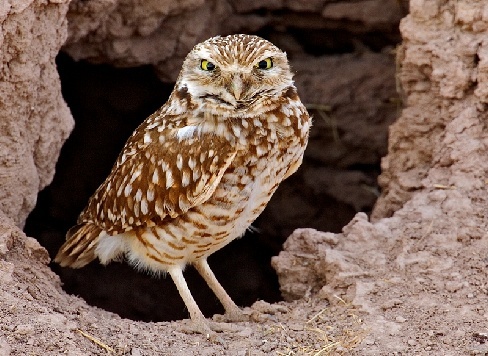 Hence, the complete scientific name translates to “wise burrower”. At one time, it was considered that the dung that these owls collect helped to cover up the scent of the baby owls. But researchers now think that it helps controlling the microclimate inside the burrow and also for attracting insects for the owls to eat. 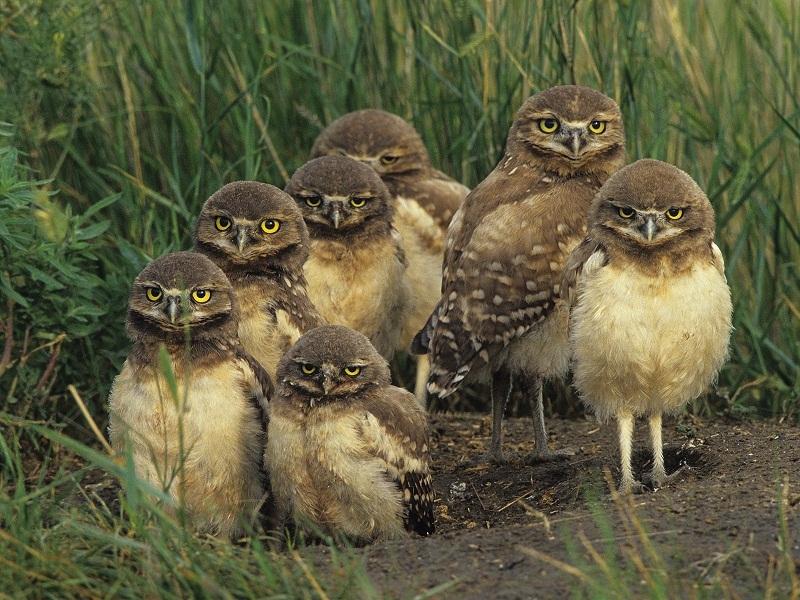 The population of the burrowing owl is going down in Canada with a population estimate of fewer than 1,000 pairs.